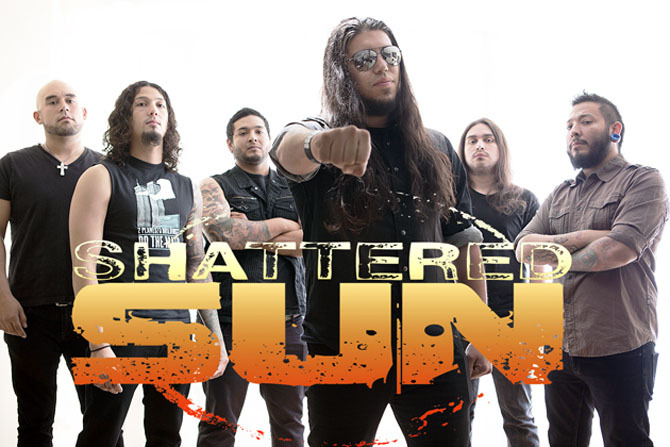 New Interview with Shattered Sun! Victory Records recording artist Shattered Sun were one of the many performers who earned a coveted spot at Jacksonville, Florida's "Welcome to Rockville" mega-fest. The two day event sold out with 50,000 metal maniacs converging upon four stages for their measured dose of heavy metal and hard rock. Festivals like "Welcome to Rockville" and its siblings "Rock on the Range" and "Carolina Rebellion" are mammoth buffets for fans to sample newer artists and styles. The young Texans made the most of their opportunity with an untiring performance on Sunday's Reverbnation Stage. After the previous night's performances from Slayer, Marilyn Manson and Korn, curtain jerking the following morning could have been daunting. However, the band delivered in grand style and gained a host of new fans and followers after their electrifying selection of songs culled from the band's new record 'Hope within Hatred', released on April 21st.